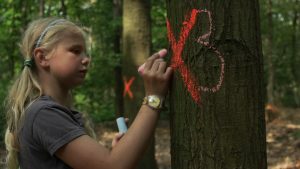 The particularly interesting screenings for children and young people that took place under the KinderDocs documentaries (www.kinderdocs.com) at the Benaki Museum, Athens and at the Macedonian Museum of Contemporary Art, Thessaloniki offered the opportunity to present Greek forests and the project ForestLife. The actions of the project were presented on the occasion of the award-winning Once Upon a Tree (the Netherlands), which was screened on February 3 and 4, and on 30 March 2017 at the Macedonian Museum of Contemporary Art. At the same time, the project is presented in the exhibition «Greek Forests, Green Destinations», organized in collaboration with Athens International Airport “Eleftherios Venizelos”. 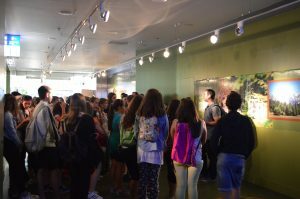 The exhibition (March 6-July 9, 2017) presents to travelers the forests of Greece, creating exciting tours of Greek nature. During the exhibition, and on the occasion of the 25th anniversary of LIFE programme, the Goulandris Natural History Museum-EKBY organized guided tours. The first tour was held on May 8, 2017, with the participation of pupils and teachers of the 1st High School of Sparta.